Dancing bears! This design is part of a sticker sheet. TICKETS: $20/person, available online tinyurl.com/yb7hboyg or at the door. The S.P.A.C.E. Gallery prides itself on being an accesible space for artists and the viewing community to enjoy work that you will not often see anywhere else. 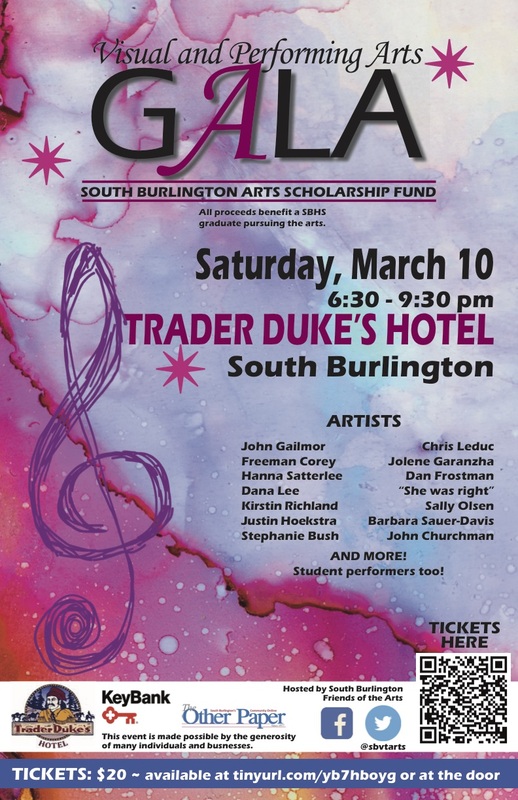 Join a collection of eleven varied and dedicated Vermont artists for a show that allows them to push their own bounds and exhibit works which, though dear to the artists heart, have yet to find venue in the local art scene. The work is familiar; comfortable for some and graphic at times for others. We welcome you to join us in the conversation of what it means to show work, no matter how 'weird' it may get. 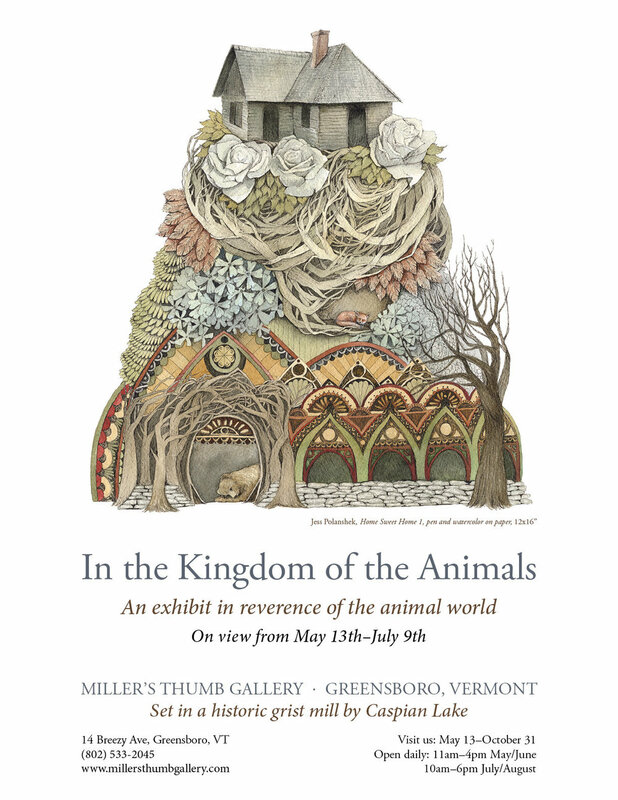 "We open with our 1st show In the Kingdom of the Animals, an exhibit in reverence of the animal world and on view from May 13th - July 9th. 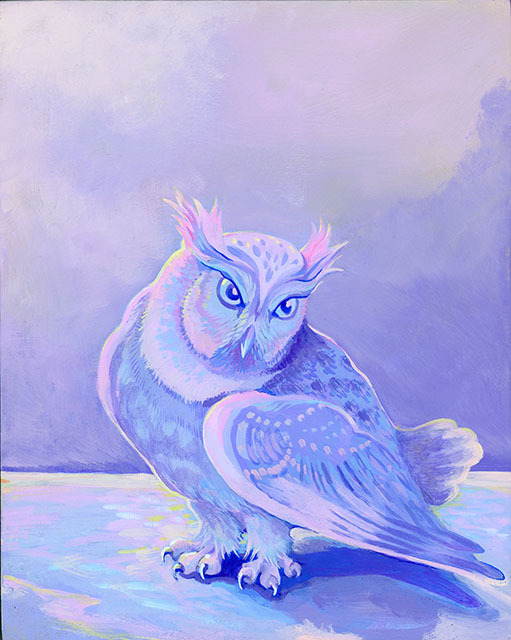 From boisterous marching penguins to sleepy bears and messenger owls, works on display celebrate our connection with and our responsibility to the earth's creatures." Directions to Miller's Thumb Gallery from Stowe: Travel from Stowe on Rte 15 through the center of Hardwick. Go 3 miles on Rte 16. Turn left and go 5 miles to Bend Rd on the left. Turn onto Bend Rd and go to the end, 3 miles. Turn left onto East Street and, at the end of the street, turn left onto Breezy Ave. Miller's Thumb Gallery is the red building on the right.